Serums, skin oils and spot treatments, oh my! If you’re anything like us and obsessed with all sorts of beauty products, it can be intimidating to figure out how to incorporate your latest skincare indulgence into your skincare routine. Nothing is worse than investing in an expensive moisturizer or under eye cream only to see no results. But it may not be the product that’s wrong — it could be how you’re applying it. Don’t have a routine? Learn why treating your skin consistently every morning and evening is so important for your complexion. Following the golden skincare rule of cleansing your face first, then applying products from lightest to heaviest is generally the best way to go. Lightweight products — like toners, serums and essences — tend to have a low viscosity and smaller particle size, making it easier for them to penetrate into your skin first, before you apply anything heavy like a moisturizer or cream. Whether you’ve got a face full of makeup or just a bit of highlighter and mascara left on your complexion, it’s crucial to remove your makeup before you cleanse… unless your cleanser purports to be a makeup remover and cleanser. We’re a huge fan of oil-based precleansers, balms and wipes like SLMD’s Step Zero: Cleansing Wipes, which are excellent at removing makeup. Cleansing your skin is essential. Just like you wouldn’t get into a set of freshly washed sheets in dirty clothes, why would you apply skincare products to dirty skin? 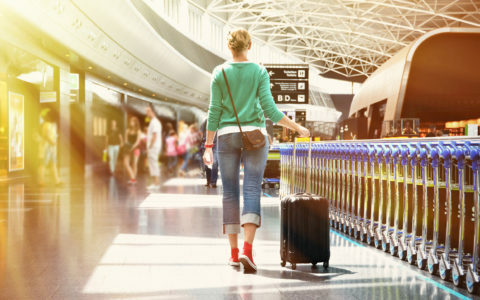 This is especially true if you live in a city, where the air is filled with environmental pollutants that build up on top of the dirt and oils your skin accumulates. In other words, make sure to clean everything away before applying any other products. 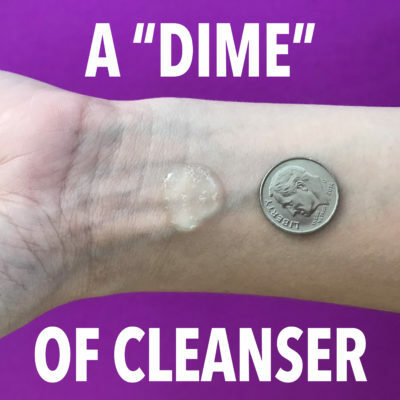 A dime-sized dollop of your cleanser of choice (we love the SLMD Salicylic Acid Cleanser!) is the perfect amount to remove the day’s dirt and grime without stripping your skin of natural oils or irritating your complexion. Toners have come a long way since the alcohol based formulas that first hit shelves in the 1980s, formulated to remove leftover dirt from cleansing and to dry up oily skin. These were oftentimes too harsh for dry or sensitive skin, but thankfully formulas have evolved for the better. Now, toners aren’t harsh or drying, and todays formulas can remove any excess grime or give your skin an extra dose of nutrients before you apply other products. Put a 3-5 drops on a cotton ball or pad (enough to fully wet the cotton) and move it over your skin, or put the same amount into your clean hands and pat into your face. If your toner comes in a spray bottle, it can also be spritzed directly onto your skin. Here’s where it can start to get complicated. Serums and treatment products are potent concentrates of ingredients — like retinol, vitamin C and hyaluronic acid — which can be used to target a range of skin concerns, from dark spots and discoloration to acne and aging. 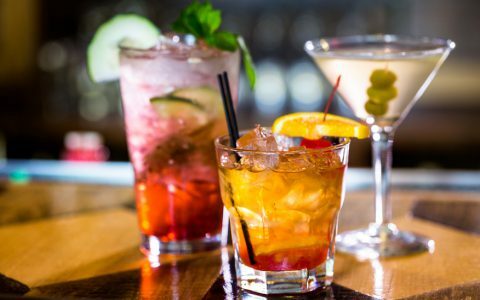 Because these products are concentrated with strong ingredients, you may notice a heavier price tag, so use them sparingly. 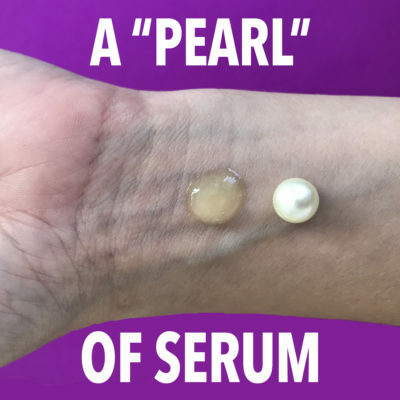 You only need a pearl-sized drop of your go-to serum or treatment gel — like the SLMD Retinol Serum or SLMD Hyaluronic Acid Serum— which should be gently applied in upward strokes until it’s fully absorbed. Make sure you do some research on your ingredients if you’re mixing more than one treatment product. For instance, retinol should be saved for nighttime skincare as it can degrade in the sun and make your skin more susceptible to UV damage. If you are using a spot treatment — like the SLMD x Dr. Pimple Popper Acne Spot Treatment or the SLMD BP Spot Treatment — now would be the time to apply them to the affected areas. These are also potent products, so enough to cover your pesky spot should do the trick. Under-eye creams are an essential, and often times overlooked part of skincare. Your under-eye area is one of the most delicate portions of skin on your body, so avoid anything irritating to such a thin area like retinols or fragranced products. For daytime, go with something brightening like niacinamide or caffeine-based products, and for nighttime you can opt for restoring and hydrating ingredients, like peptides and hyaluronic acid. Different concerns, like dryness, puffiness or discoloration, can call for different products and consistencies, so go for one that targets your needs. Gently apply a pea sized amount with your ring finger from the outside to inside, along your orbital bone and brow bone, to avoid accidentally getting product into your eye or pulling at your skin. Finally, it’s time to seal it all in! 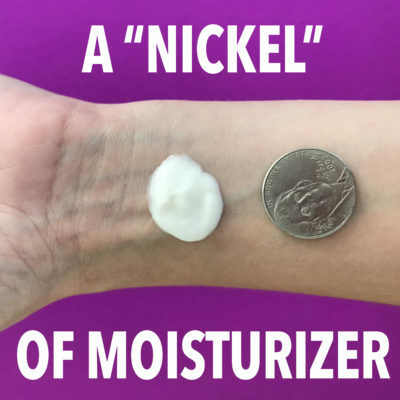 Once you’ve let you previously applied products settle into your skin, apply a nickel sized amount of your favorite moisturizer (we love the SLMD Facial Moisturizers!) onto your skin in an upward motion. 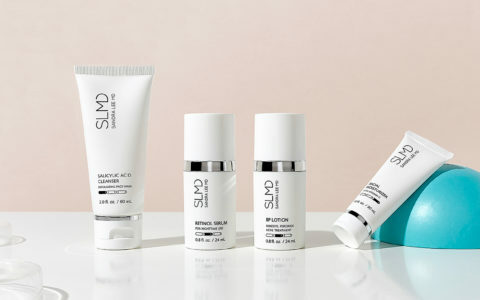 Sunscreen is quite possibly the most essential step in your routine, so if your daily moisturizer isn’t already equipped with SPF protection, try one with built in protection like SLMD’s Daily Moisturizer with SPF 15. Hi, my name is Jamie and I’m 51 . Menopause, oily T zone, dry areas,,,,, I need help! I also get an occasional pimple,, I love watching Dr Pimp,e Popper, one of my daughters got me hooked, I’m looking for a moisturizer and something to help my aging skin?